We had confirmed the launch of Mitsubishi Pajero Sport in India, and the veil took off today from the Sport SUV of Mitsubishi-Hindustan Motors alliance. Its over two years into the launch of Evolution-X sportscar, and now India enjoys the Mitsubishi Triton pick up based SUV, that sells in South East Asian markets. Launched with a price tag of Rs 23.53 lacs (ex-showroom New Delhi), India will only be enjoying a single variant of the Sport SUV as of now. The 2012 Mitsubishi Pajero Sport has a ladder-frame chassis used in most pickup trucks, and will feature as a seven-seater. It sports projector headlamps, defogger lamp and rear wash wiper. Talking of sports, the Pajero Sport stands on 17-inch alloy and is available in six different shades in Indian market. Under the hood is a four-cylinder 2.5-litre 4D56 Common Rail Turbo Diesel motor, churning up to 176 bhp power and 400 Nm torque. The 4D56 CRDe is uptuned with variable geometry turbocharger to boost power and torque figures. This makes the Pajero Sport SUV a worthy challenger of the Toyota Fortuner and Hyundai Santa Fe. Mated to the motor is a 5-speed manual transmission and four-wheel drive technology, giving the Pajero Sport competitive off-road abilities. The single variant launched in India has 2 airbags. However, the following variants may have better safety choices. Moreover, it has Anti-lock Braking System, Equal Brake Distribution with brake boosters, placing it among mid-segment SUVs. Seat adjustment features 60:40 split central row and 50:50 split third row. On the interior, there is leather upholstery, featuring leather seats, steering wheel, gearshift knob and audio controls. For entertainment, the Pajero sports MP3 player and quintessential USB. With the Thailand plant running at full efficiency after the recovery from flood, the Pajero Sport will be imported as Completely Built Units (CBU), while the local assembly via CKD kits will begin by late 2012 at Hindustan Motor facility in Tamil Nadu. 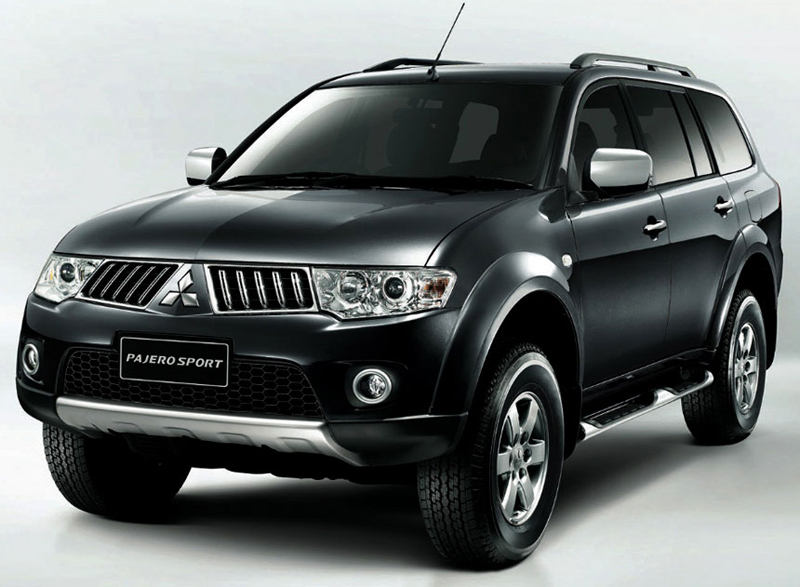 The price of the Pajero Sport SUV has been decided strategically to avoid it from eating into the sales of Pajero SFX, the largest selling product of Mitsubishi in India. 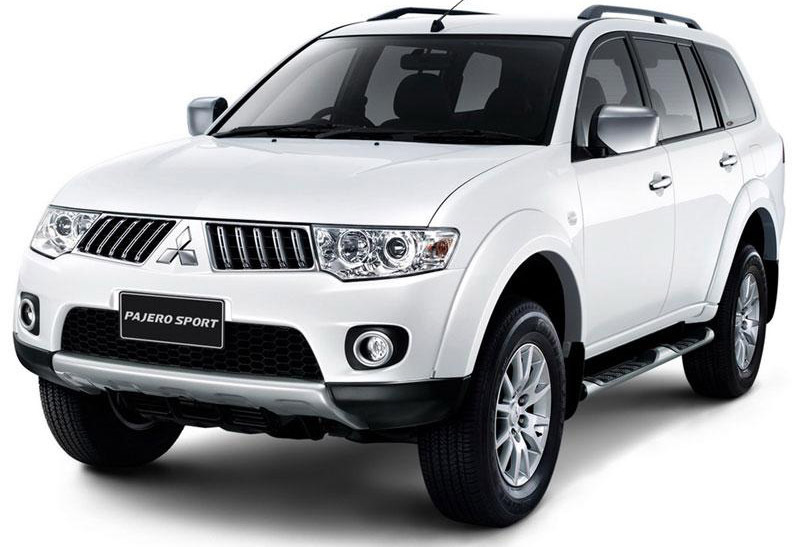 Mitsubishi has announced launching its sport SUV, the Pajero Sport in India on 12th of this month. Previously we received the Montero in India, which was sold with the tag Pajero. And it is history being repeated with the Challenger (in international market), being launched in India by the tag of Pajero Sport. As per sources, the new SUV, dubbed 2012 Pajero Sports will be launched in India next week on Monday. The Pajero Sports was previously seen at the 2012 Auto Expo in Delhi, however the officials did not disclose any detail on its launch following the floods in Thailand. With the Thai facility coming to its full capacity, the Japanese brand is confident on launching its Sport SUV against the giant rival, Toyota. Launched in 2008, the Challenger was fitted with a four-cylinder 2.5-litre common rail turbo diesel motor. The Indian version, Pajero Sport will be housing the same power plant capable of pumping over 140 PS and 320 Nm torque. Mated to the motor is a 5-speed manual transmission, and there is no word on an automatic transmission yet. It comes with an All-Wheel Control Super Select 4WD mechanism that makes it a good strong off-roader. India will receive a seven seat Pajero Sport with three rows, and will put it in the segment of Toyota Fortuner, Hyundai Santa Fe and the upcoming Chevrolet Captiva. Other notable features include ABS, EBD, climate control, slide and rear window demister, cruise control, automatic rain sensing wipers, auto headlamps etc. Initially the Pajero SUV will come to India as Completely Built Units from the Thailand plant with an expected price tag of Rs 24 lacs. Mitsubishi plans later to import CKD kits and assemble the SUV at the Hindustan Motors facility in Tamil Nadu. The SUV will be strategically priced to survive in the market with Fortuner and Captiva.